Listen to find out these three books will help you get clarity with your so so you can dare greatly and follow your dreams. This podcast feels like your comfy favorite blanket - familiar, comforting and warm. As a person of Carribean decent it's refreshing to hear a podcast dedicated to our stories. The Podcast You Should Subscribe To!! Carry On Friends podcasts stepped up when there was very few or little to none supporting a demographic of people seldom targeted or not targeted at all. I appreciate this as a young woman of Caribbean American ?????? (Bajan/PuertoRican - Afro Latino) decent. To embrace culture and enterprise is what this podcast encourages.The content is supportive and relevant to what you need to get started as entrepreneur providing tools and resources. Nothing is held back, it's definitely a must listen and I'm truly grateful for it. I LOVE that this is a place where the unique reality of being Caribbean American is celebrated. It is comforting to hear others that I can do specifically relate to. I love that it is informative and fun in a way that only a Caribbean American can do. It really is a great marriage of the cultures! 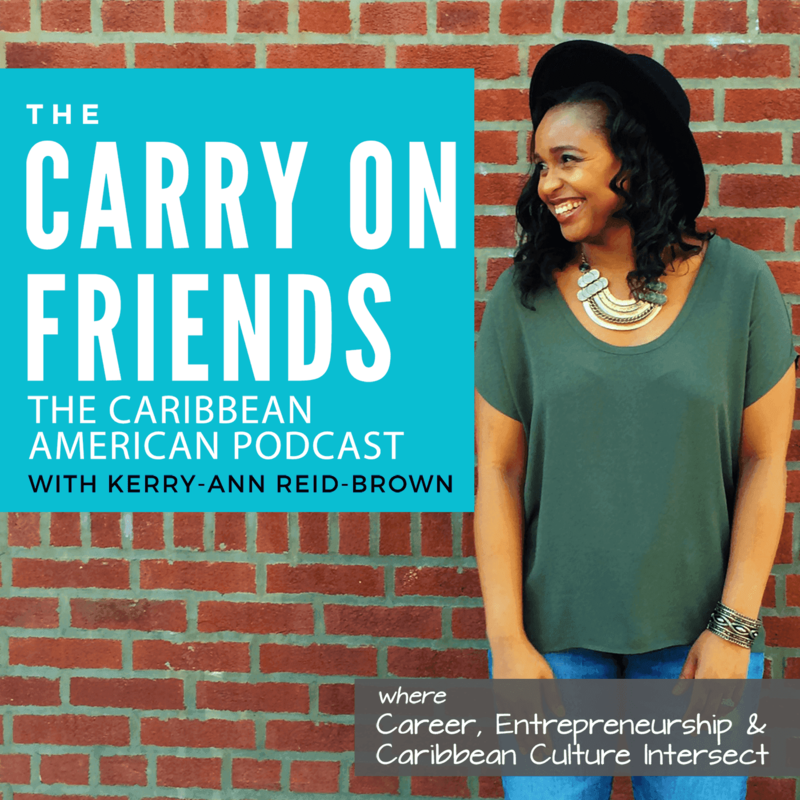 I love that this podcasts speaks to professional growth with the Caribbean population in mind. Who else tells us how to be unique in culture in a work world that isn't expecting is. Getting insights from people that I may never have heard from. Thank you, and as a Black American but wouldn't change a thing about this podcast. It was a pleasure to be a guest on the show! A few outliers are cool but Kerry-Ann sheds light on some lesser known successful Caribbean American entrepreneurs. Excited about the interview series. I like a few of the topics discussed so far in this podcast series, actually went through the feelings of episode 8 the day before listening to it. Great listen,very informative and to the point.Love her voice. First, let me say that Kerry-Ann is very eloquent and has a wonderful voice for the radio. I listened to her segment on accountability and goal setting. This couldn't have come at a more perfect time; I recently lost my job and felt as if I was accomplishing none of my goals. For the rest of the month, I have a series of goals now that I hold myself accountable to achieve as well as being someone's accountability partner as he makes his way through technical with a few hurdles in the way. I must say I haven't felt this refreshed in a while! This is a great podcast, and my friends think so too! Just listened to this podcast for the first time and loved it. Kerry-Ann is positive, encouraging, motivating, and full of wonderful ideas (like keeping a compliment journal). Definitely worth checking out if you need some encouragement/motivation in your life. I love this podcast… this girl has a knack for keeping people informed. The time I used to spend in the subway just staring into space 🙂 I now use to take in these little golden nuggets of information. Refreshing, informative, in depth. The knowledge I have gain from the topics posted by Carry On Friends is immeasurable. A must have on any podcast.